Last night’s Wild Women of the Accordion/ Accordion Babes Pin-Up Calendar Release party at Cafe du Nord was super fun and a resounding success. 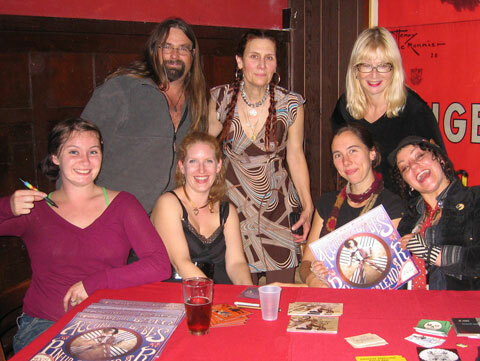 Several accordion goddesses helped out at the merch table selling all the calendars we had and autographing many for enthralled accordion babe fans. Kugelplex, Big Lou’s Polka Casserole and Renée de la Prade and friends dished up oh so danceable tunes. Rhian, the Mad Maggies’ whistle goddess worked the swag table with her vivacious charm. We made new friends. The moon was full. The air was warm. Calendars are available for $20. They include a compilation CD with a song from each of the “babes”. 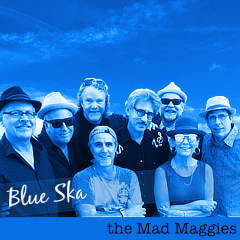 The Mad Maggies all new online store will be ready in just a few days but meanwhile email me if you’d like one. And of course, I will be selling them at our upcoming shows.